New York (TADIAS) – Several years ago in Addis Ababa, when a young, idealistic woman named Reeyot Alemu, who was working as a high school English teacher, began contributing part-time to local independent newspapers and writing mostly opinion articles that were critical of various government policies, she knew that she could potentially upset those in power. Reeyot, however, had no idea that her courage would one day earn her prestigious international recognition, albeit while in Kality prison. 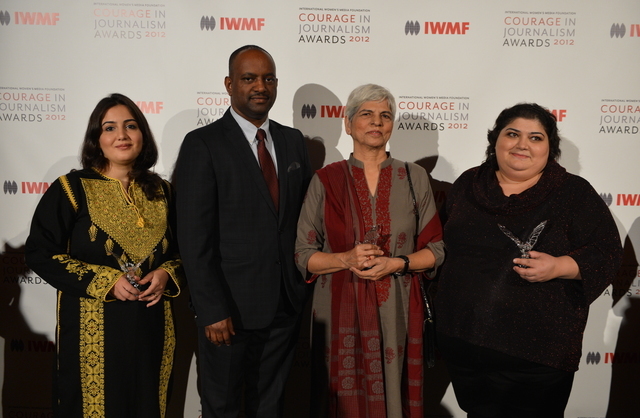 Reeyot, now 31, is currently serving a five-year term on terror charges, and was among four women who where honored last week by the International Women’s Media Foundation for their courageous work in journalism. 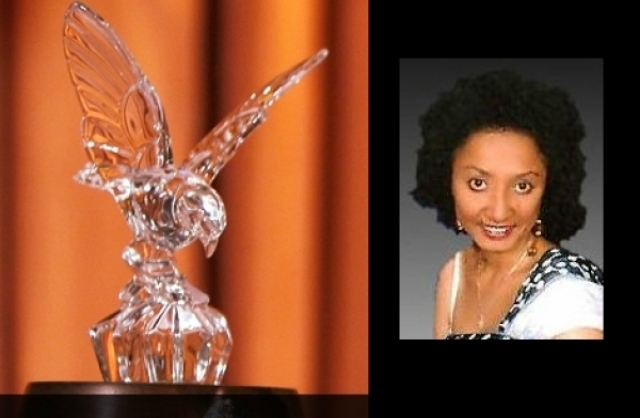 Reeyot, a former columnist for the the publications Awramba Times (now in exile and online) and the Amharic weekly Feteh (now blocked), was given the 2012 “Courage in Journalism” award at a ceremony held in Manhattan on Wednesday, October 24th. “When I nominated Reeyot for the Award, I wanted to show the face of courage in her, so that girls in our country will not be discouraged from becoming a voice to the voiceless,” said Elias Wondimu, who accepted the award on her behalf and read a letter penned by her for the occasion. Mohammed Ademo, a New York-based freelance journalist, who is the Co-founder and Editor-In-Chief of OPride.com, as well as a graduate student at Columbia University, attended the luncheon and covered the ceremony for the Columbia Journalism Review. In his widely publicized interview with Voice of America last month, Prime Minister Hailemariam Desalegn took a hardline stance on the subject, strongly defending the continued imprisonment of a number of journalists. “Our national security interest cannot be compromised by somebody having two hats,” PM Hailemariam said, echoing the official claims, which accuses the prisoners of being “double-agents” for terrorist organizations. “We have to tell them they can have only one hat which is legal and the legal way of doing things, be it in journalism or opposition discourse, but if they opt to have two mixed functions, we are clear to differentiate the two,” the PM told VOA’s Peter Heinlein. “How on earth can we compare a person who criticizes a government’s policy through writing and accuse them of being terrorists?” Elias asked. For former judge Birtukan Midekssa, who is currently the Eleanor Roosevelt Fellow at Harvard University Law School with a joint appointment at W.E.B. Du Bois Institute, Reeyot is both a friend and an inspiration. Government officials maintain all the jailed journalists have broken the law and are guilty of the crimes under which they were convicted. Meanwhile, IWMF noted it’s concerned about Reeyot’s health. “Recently, she has fallen ill; in April of this year she underwent surgery at a nearby hospital to remove a tumor from her breast,” the organization said. L.A. Times November 1, 2012: Reporter jailed in Ethiopia among women journalists honored in Beverly Hills, California.